Florida Business Recycling, Inc. has actively recycled computer based components since 2012 and we now provide electronics recycling, secure data destruction, IT equipment liquidators, and computer recycling solution in the Orlando Florid area that is second to none.If your Orlando company or organization is in the market for computer recycling, we are the electronics recycling company to call! Your company can quickly dispose of used, unwanted computers, office equipment, electronics and much more, just by contacting Florida Business Recycling. We come to your location and pick up your items at NO CHARGE. We provide Orlando electronics recycling that is environmentally friendly and obeys all the latest regulations. Best of all, your company may be able to EARN EXTRA CASH if we purchase your items that have residual value. Some recycling companies want you to pay them. 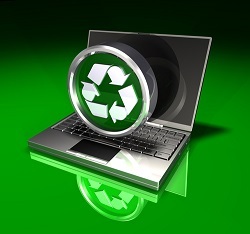 Instead, contact us for your Orlando computer recycling requirements. Florida Business Recycling accepts hard drives, monitors, laptops, fax machines, phones, scanners, printers and so much more. By getting rid of these items – along with surplus inventory, overstock, returns and more – your Orlando business will get back precious office and storage space, while freeing up space for new equipment. Company going out of Business, looking to see you IT Equipment? Is your company moving or going out of business? Florida Business Recycling can also help you with inventory liquidation along with Orlando electronics recycling. As part of our Orlando computer recycling services, we also completely wipe your private information off your computer hard drives. Florida Business Recycling partners with Orlando companies, schools and organizations of all sizes. No job is too big or too small! Call us today and learn about our FREE, fast and easy pickup using our Orlando electronics recycling services.